We run the only major electricity distribution network that provides power to customers in the North East, Yorkshire and northern Lincolnshire. We are dedicated to delivering a safe and reliable electricity supply to all our customers, 24 hours a day, every day. We move electricity to and from homes and businesses over our network. This dataset shows NOrthern Powergrids investment plans for the next few years and, for the first time, gives you an idea of where we will be working in your local area. The scope of major projects can sometimes change during their development and works may be reprioritised due to changing circumstances and external factors like faults on our network and local infrastructure. The following dataset shows all the LS postcodes which have been mapped to the distribution substation and onwards, with the demands, fault levels, capacities and generation at those substations included. The following datasets provide a breakdown of the mileage and number of vehicles of the Northern Powergrid fleet. Further information For more information on Northern Powergrid please click on the following link: https://www.northernpowergrid.com/ As of 01/03/2017 this dataset will be archived until further notice. The following dataset provides the fuel usage and cost for the Northern Powergrid fleet, broken down by fuel type and month. 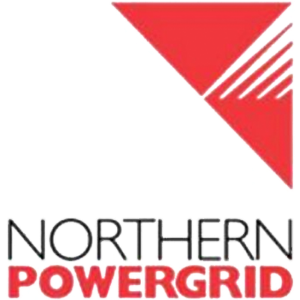 Further information For more information on Northern Powergrid please click on the following link: https://www.northernpowergrid.com/ As of 01/03/2017 this dataset will be archived until further notice.